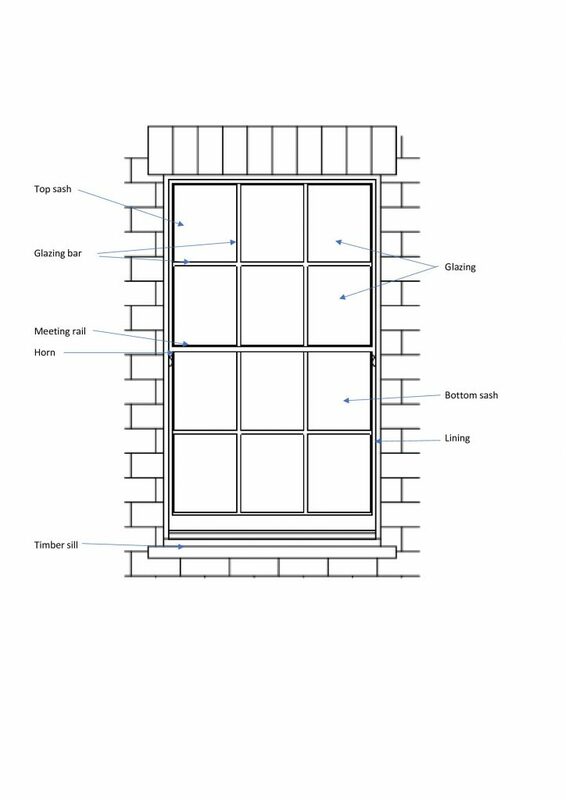 This guide explains how sash windows work and how to solve common problems associated with them. Understanding how your sash windows work will help you to discuss any repairs with your expert joiner and fix problems that may arise. 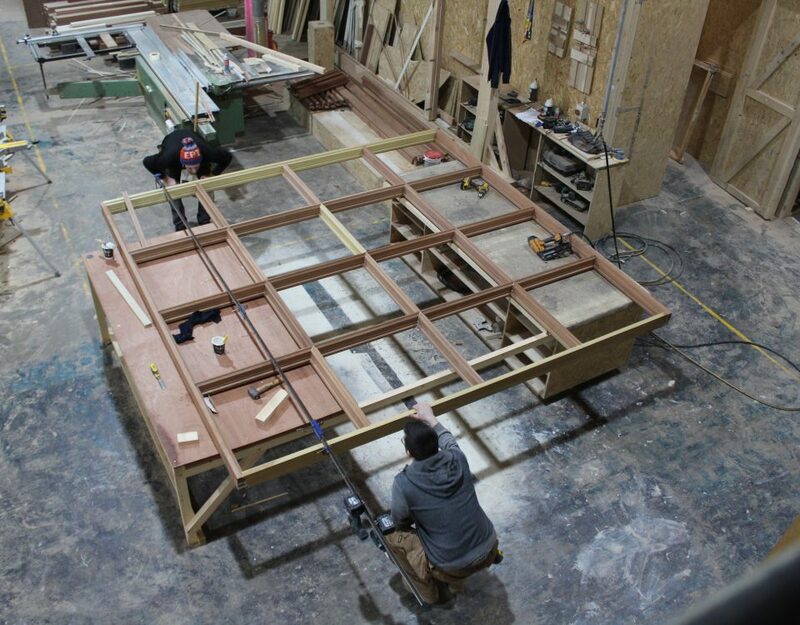 Remember FSC timber is sustainable and timber windows can last indefinitely with proper care and maintenance, repairs and refits. Windows can be repainted in different colours to change the look of your home. With current glazing advancements, even historic windows can be energy efficient and correctly insulated whilst maintaining their conservation qualities. There are two sashes that slide up and down within a timber case. The sashes are usually hung on sash cord. This is usually a waxed cotton rope with a polyester core. The advantages of this cord are that it is strong, it won’t stretch and can easily be cleaned. The cords run over a pulley a the top of the case and are balanced by a weight inside the case. These are carefully adjusted to allow the sashes to slide up and down easily and to hold them open safely. When the paint wears down, the timber is no longer protected from the weather. Exposed timber, particularly on the exterior, is susceptible to damage from the weather and rot. This does not mean that the window needs to be replaced. 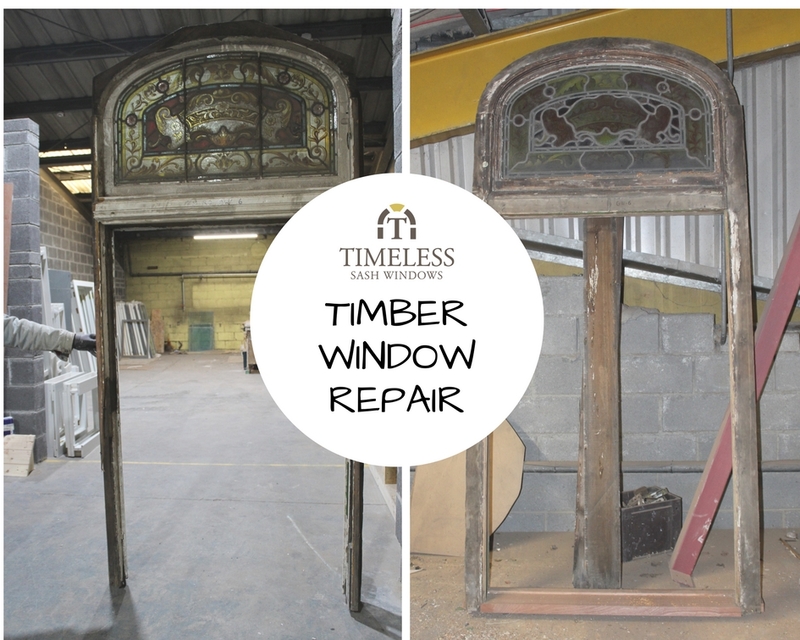 Specialist joiners can repair and repaint the timber to protect it for the future. An over zealous painter may paint over the sash cords or cover the sash and case with an excess of paint that makes it difficult to open. This can be repaired by careful scraping with a knife taking care not to damage the timber. Cords wear out over time and will need to be replaced. Our fitters can quickly replace worn out sash cords. If the cords break the weight will drop down inside the frame and it is difficult to open the window again. It is therefore easiest to repair the cords before they break. However, our fitters can retrieve the weight from the window pocket and refit it. The paint should cover the putty or mastic seal around the glass as well as the timber frame. This helps to maintain the efficiency of the window. If the putty is exposed to the weather it will crack and allow water to seep in and rot the timber in turn. To repair this, our joiners will cut out the old putty and replace it to ensure a good seal. Any broken glass or glazing should be repaired as soon as possible. There are many options to upgrade or replace the glass to match the original style of the windows. Our sales team can advise you on the best solution for you. This is the term for all of the catches and latches on the window. Here at Timeless Sash Windows we stock a wide choice of designs and colours to match or upgrade your current window security. 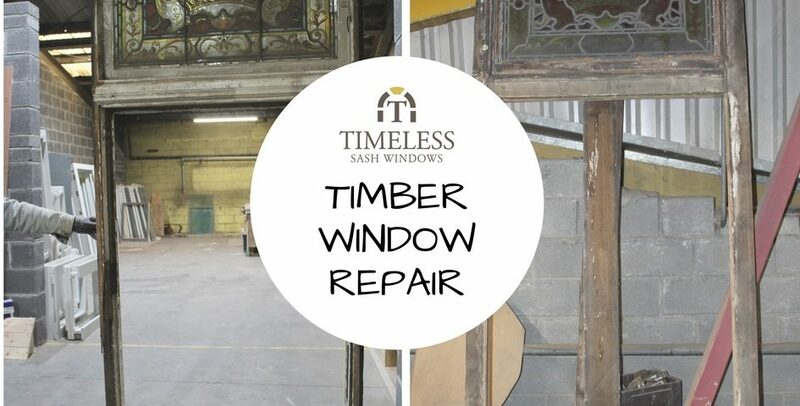 In Ireland, Timeless Sash Windows, are a joinery with 40 years of experience in historic window restoration, both in period homes and conservation properties. 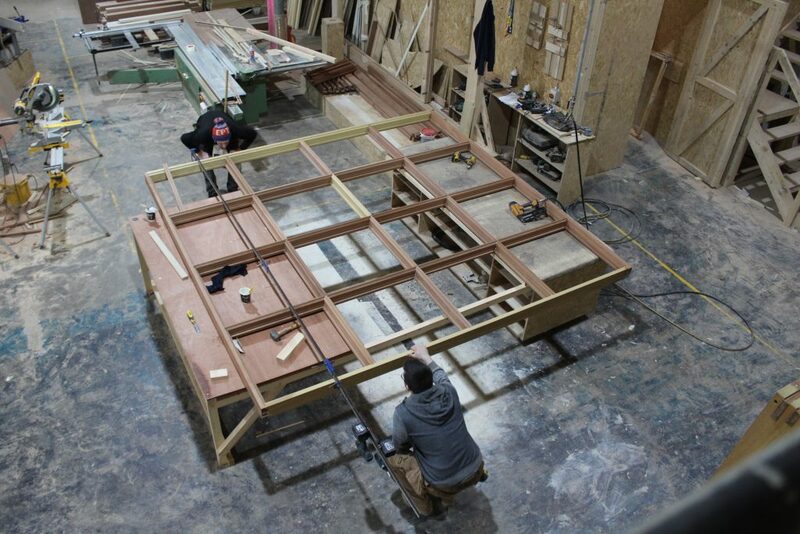 Every window receives careful attention to ensure the best product on the market. Our team will ensure that you get the best possible service from quote right through to finished product and after sales service. We are not happy unless you are too.